Since 1997, Douglas A. Booth has been providing clients with the personal service and attention to detail that can be hard to find at larger firms. Prior to joining Sneed, Vine & Perry, P.C., Mr. Booth was shareholder and president of the Law Offices of Douglas A. Booth, P.C. where he practiced for 20 years. Mr. Booth is board-certified in both residential and commercial real estate law by the Texas Board of Legal Specialization, and handles all types of real estate transactions -- both large and small -- including purchase and sale, and development and financing. 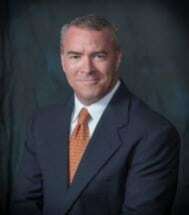 Mr. Booth also handles the purchase and sale of closely-held companies and has a wealth of experience in the areas of estate planning, probate of estates, business formation and business law. Mr. Booth received a B.A. in Philosophy (High Honors; Phi Beta Kappa) from The University of Texas at Austin in 1989, and a J.D. from The University of Texas School of Law in 1992, where his is a regular guest lecturer. He lives in central Austin with his wife and college sweetheart, Cybele, a public relations professional, and their two sons, Harry and Teague. A Texan since before he could walk, Mr. Booth runs, cycles, lifts weights and enjoys live music, barbecue, cold beer, hunting, fishing, paddling, hiking, long motorcycle trips and just about everything else outdoors.